Chatbots can become the most effective way to serve customers if companies understand how to correctly implement their FAQs into a knowledge base as chatbot intents. The trough of disillusionment sounds incredibly ominous but it is arguably the situation even the best chatbots currently finds themselves in. That is the phrase coined by Gartner for when the public realizes that a technology will not quite meet the astronomical expectations it was burdened with. This “trough” forms part of Gartner’s five categories for its annual hype cycle. In order to reach the next stage (the slope of enlightenment), the technology needs to be redefined to fully realize its potential as a product. Current chatbots cannot yet cater for our every need (like Samantha in the film Her) but it is arguably the most effective way to interact with customers by discovering their intentions. Rather than simply converting existing frequently asked questions (FAQs) it is more effective to regard them as intents. Exactly what does the customer want to know? Instead of providing a long and general answer which covers a number of bases, chatbot intents can discover exactly what the user means to offer a quick and precise response. Recent research by Retale found that nearly one in three people aged 18-34 who had used a chatbot wanted them to be more conversational. This response is far too vague and would be rather strange in a face to face conversation. There is no attempt to provide the customer with an exact answer or to find the reason for their question. In short, we have yet to discover the user’s intent. This can be done by “botifying” your knowledge base. User: Can I change my flight? Chatbot: I can find out for you. Can you let me know where you’re flying to? C: Thanks! Where are you leaving from? C: Thanks! What time and date are you leaving? And so on. Decision trees provide simple questions which help narrow down the chatbot intents in order to give the perfect answer. In addition, note the use of personal pronouns such as “I” and “you” to offer a more natural conversation. 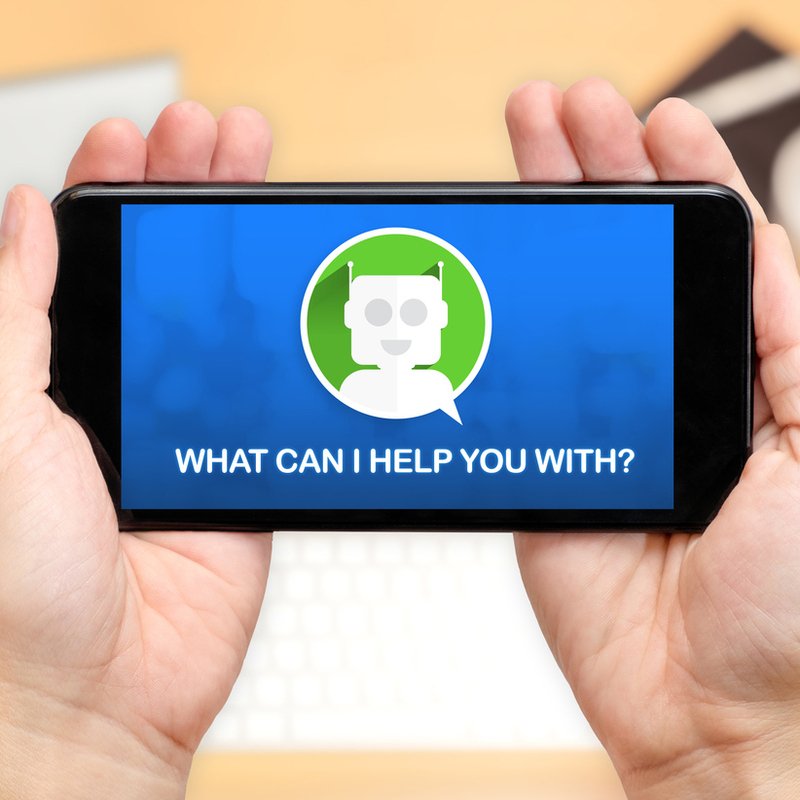 Given the popularity of messaging apps such as Whatsapp or Facebook Messenger, it is simply common sense to aim to provide a similarly conversational experience for your customers via a bot. An FAQ is an incredibly binary feature, it consists of the question and the answer. In reality, human conversations are far less predictable and contain many follow-up questions. Humans tend to use a lot more pronouns such as “it”, as shown in the second question. For a chatbot to be more conversational it will have to recognize the context and provide the cost for that flight. Chatbot intents can process customer information using variables which are able to process customer information and recall the context of the information. For example, if you provide details of your flight, a chatbot will be able to recall that exact journey later on in the conversation. Chatbots may not be able to cater for every single need just yet but when it comes to serving customers it can come pretty close. Rather than providing a direct, tailor-made service for a customer, FAQs offer the same advice regardless of their needs. For example, if an individual needs to reset their password, FAQs will simply point them to another part of the website to complete the task. What the customer is actually looking for is a transaction – an exchange of information in order to solve their inquiry. To do this, chatbots can use transactions to integrate with your backend and legacy systems in order to provide this service. Instead of clicking on multiple links and speaking to different agents with an FAQ, customers can change their password or purchase items through once conversation with a chatbot. The FAQs section on your website is a controlled environment. You know exactly what questions are available to answer and exactly what each one contains. In short, you have an idea of the experience a user will have, they will either get their answer on there or they will not. The situation is different with a chatbot which has no idea what question it will face. These could be questions found in the FAQs, generic inquiries outside of the content or even requests such as for a product demo. Regardless, chatbots will either need to provide the correct answer or to be able to escalate to a human agent. Simply copying and pasting your FAQs into a knowledge base is not the solution to providing self-service for your customers. A chatbot with robust natural language processing is able to discover what answers are missing. Inbenta uses semantic clustering to detect any negative responses which will alert the company to crucial new material which will need to be created to better serve customers. The gap analysis between what customers are asking of your bot and the answers it can give is an exceptional business tool allowing you to plug knowledge gaps easily and know the unknown. While copying and pasting FAQs is not a disastrous idea, it is not the solution to providing an enhanced customer experience through a chatbot. In a world where the customer is king, a fully functioning chatbot could be the knight in shining armor providing the perfect user experience.